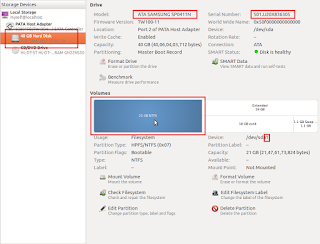 Here, I am going to show you how to mount the NTFS hard disk to be shared with everyone in the network. 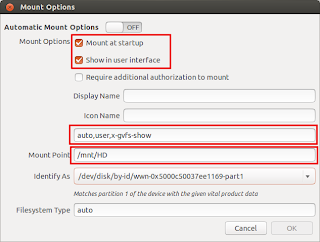 Enable 'Mount at startup' and 'Show in user interface' checkboxes. 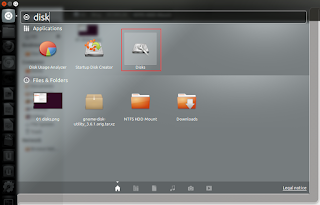 Then enter the following in the text field after Icon name text field. 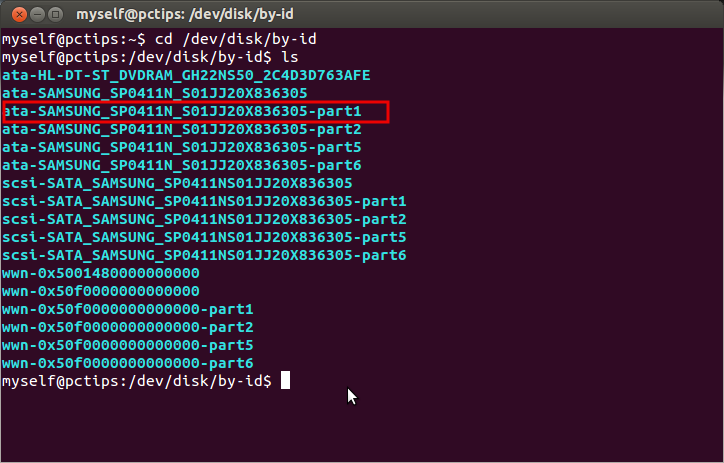 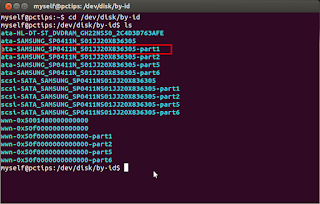 Copy the line which corresponds to the Model No , Serial No and Partition No of the NTFS partition. 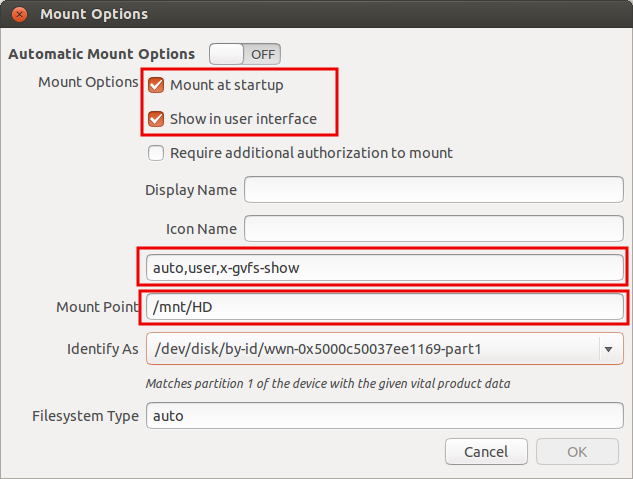 Now mount the device with the disk utilty.